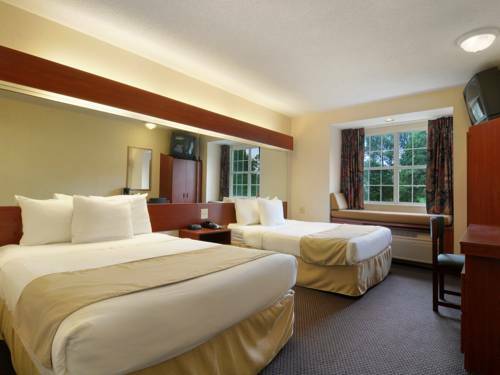 Relax at the consistently enjoyable Microtel Inn and Suites by Wyndham Atlanta/Perimeter Center conveniently located near prime dining, shopping and entertainment. Visit the CNN Tower just minutes away, or head to World of Coca-Cola and experience many versions of the beloved soft drink. Ideal for business and leisure, this smoke-free hotel offers a seasonal outdoor pool, guest laundry facilities, complimentary newspaper, and on-site gym. Host your next business or social event at the meeting room, and take advantage of the complimentary guest copy and fax services. Enjoy the complimentary continental breakfast, and keep in touch with the complimentary wireless Internet access. Guest room amenities include desk and TV with HBO. Suites and handicapped-accessible rooms are also available. There is no charge for children 17 and under with an adult.